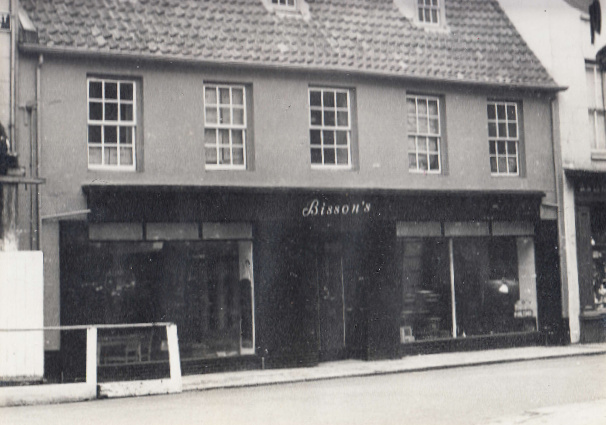 My Father Ernest ‘Ernie’ Bisson started in business aged 16 with £5 and rented his first shop at £3 per quarter in 1922. 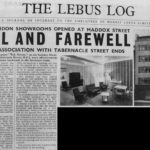 As a furniture retailer that stocked and sold Lebus Furniture, I have many memories of the sales staff and some of the Lebus family, in addition to other events that soured a long business history. 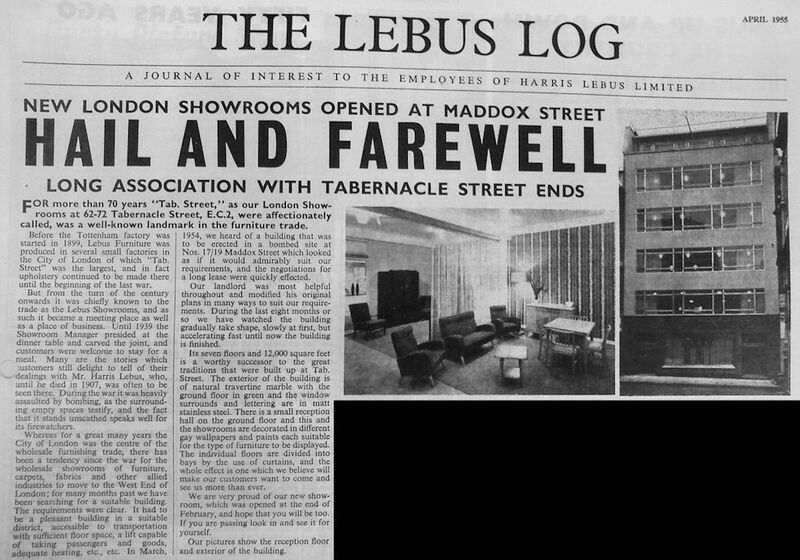 My Father started selling Lebus goods after the Second World War (possibly before) and had a very successful business, that I joined at the age of 15 in 1964. 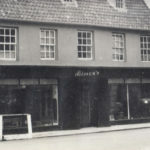 However, I had spent a lot of time as a child in the shop as home was a stones throw from the business, in fact I almost grew up in the shop, so got to know the Rep`s and a member of the family at a very young age. 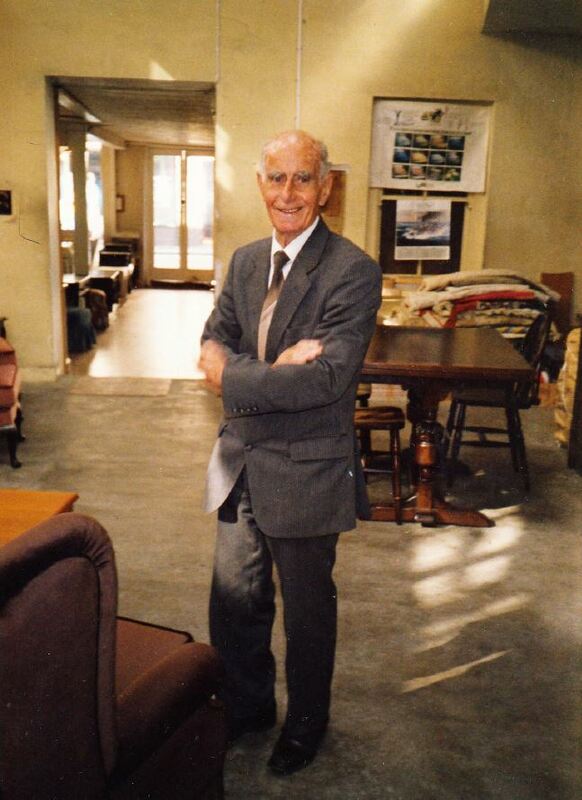 At the age of 16 I was privileged to be invited to the main factory, then on the upholstery site at Woodley. I could write a book about the place, as I can picture the visit and the factories to this very day. Regrettably I cannot remember the names of the Rep`s etc. from all those years ago, but I can picture them as though I had talked with them a few months ago, though long dead I am sure as he must have been in his very late fifties when I was about 16 around the mid 1960s. Our business was based in Jersey, Channel Islands so it was a bit of a holiday for them when they came about twice a year. When I was taken on the factory visit by the Rep, I can for instance recall him driving me up to Woodley in his Morris Minor Car (the one with the two opening back doors that had all wood frames on the bodywork) a couple of years later he set off to New Zealand to be with his family that had relocated out there to sheep farm. One funny occasion was when (I am sure it was) Oliver Lebus came to Jersey with the Rep to sell us the Bedding and Bentwood chairs, he was using a Dictaphone to take the order, and my Father wondered what he was doing as he had never seen one before, as my Father gave him the order he (Oliver) was speaking into it. The funny thing is when he got back he found he had wiped the whole order from the machine – apparently, he had not used it before as he never normally went out with the Reps but the Rep thought it was hilarious as everyone else used pen and paper in those times. It was a large order as well, as the prices were clearance on the chairs. When they arrived, we had to stack them in our attics to the rafters as there were so many, in fact I think they sent far more than my Father ever ordered but as they knew we were good for the money and paid by cheque on arrival I think Oliver took a chance, must have been around 800/900 chairs. Those days we sold them for from 19/6 to 32/6 – having paid them no more than 5 -10 shillings each. 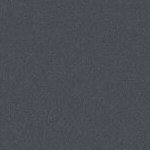 We did very well out of the deal I am pleased to say. Leaving all the good parts behind, I will move onto matters that soured many years of wonderful and happy business dealings, and super meetings at Maddox Street – London. Silver Service Dinners at the Showroom to boot. 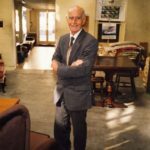 Then came Europa – the step that doomed the business, the company upset so many small retailers by refusing to supply them with Europa Branded Furniture. I recall being at the Maddox Street showroom with my Father and being told that another retailer (that did less turnover with the company) had exclusive rights to sell the ranges, because they had more impressive premises. My Father was distraught and very upset. Within months we had found alternative suppliers as did many other retailers, and we had effectively closed our account, and I was delighted when the company effectively folded some years latter, having witnessed and felt the effects of being treated as second class retailers by the company. I also remember the company taking over a bedding company, and selling the bedding, also buying into a Bentwood import company, all a huge mistake. I am however pleased to see that the brand name still retains some value and is used in the trade but sadly few furniture brands of old, have any real value these days. Page from a record of all the cheques paid to various firms in 1946 – the first year after the war, this was the first full year for five years that any furniture was sent to Jersey and only with Coupons issued by the government.